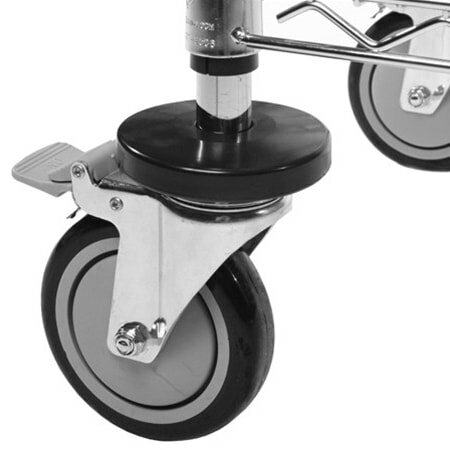 Conductive rubber wheel. 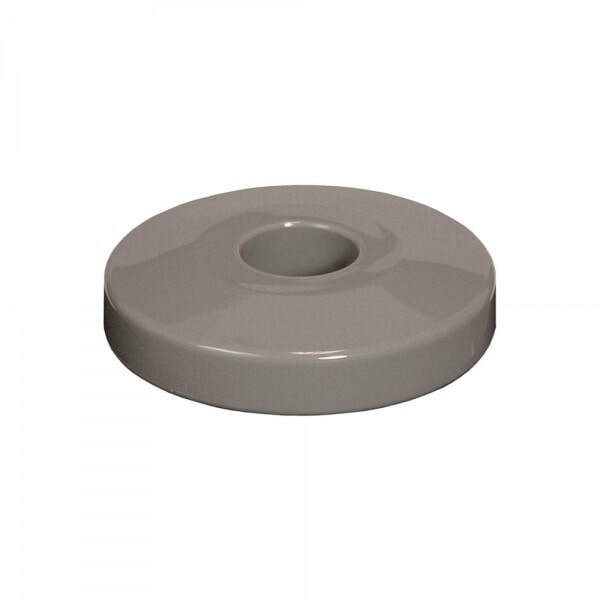 Used where static electricity must be dissipated through the floor. 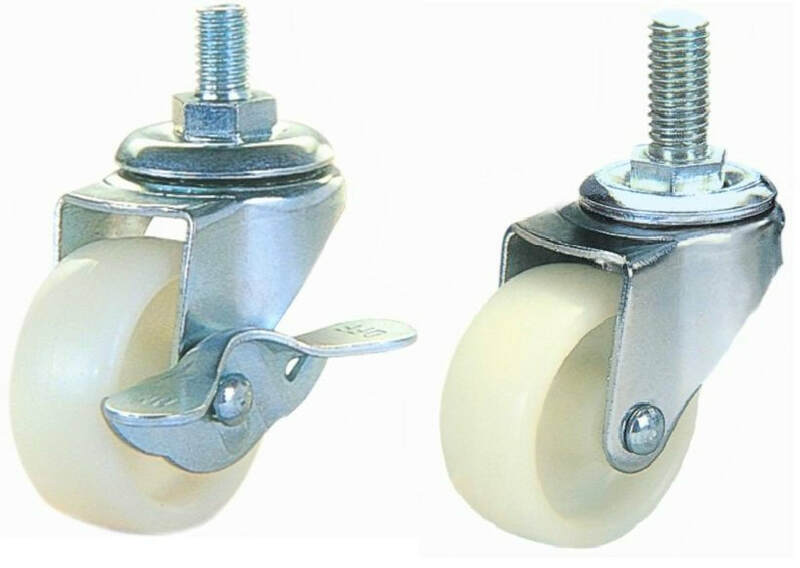 Shock-absorbent, silent. 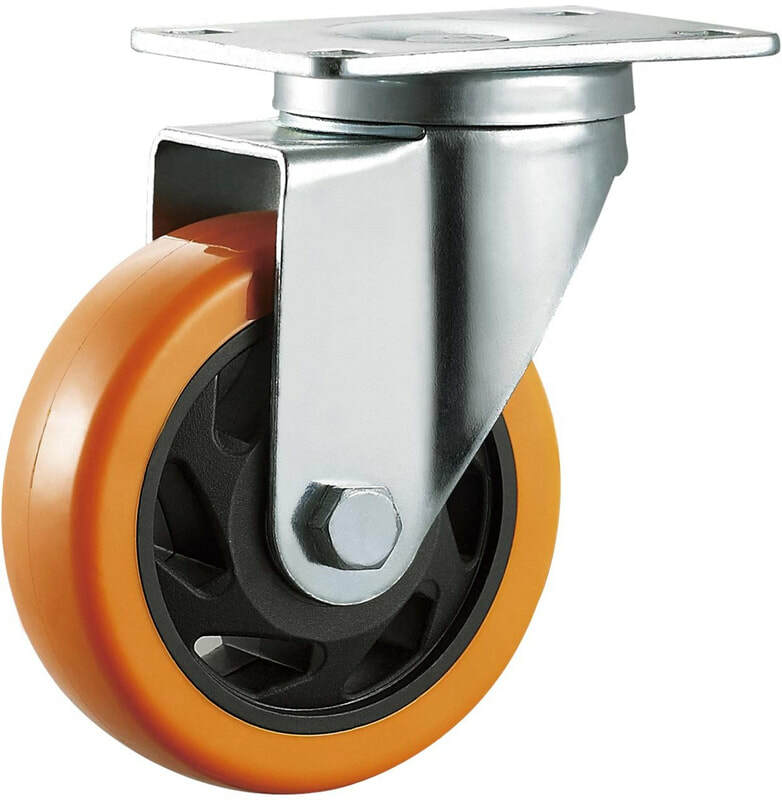 A caster (also known as castor according to some dictionaries) is a wheeled device typically mounted to a larger object that enables relatively easy rolling movement of the object. 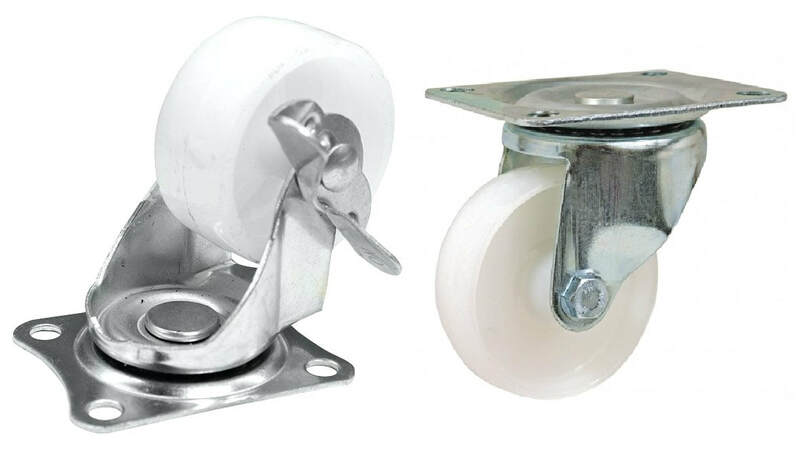 Casters are essentially housings, that include a wheel and a mounting to install the caster to objects (equipment, apparatus and more). 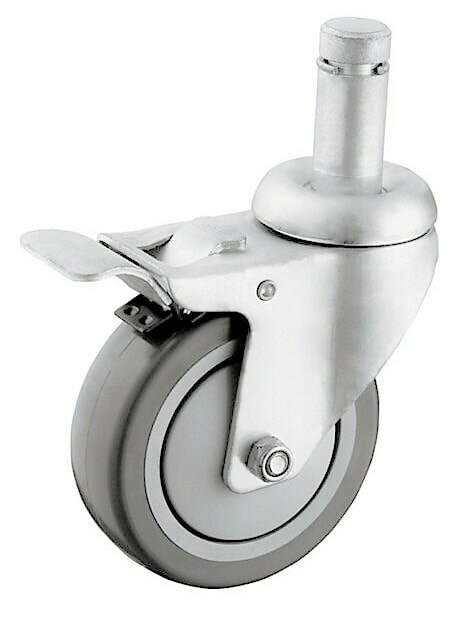 Casters are found virtually everywhere, from office desk chairs to shipyards, and from hospital beds to automotive factories. 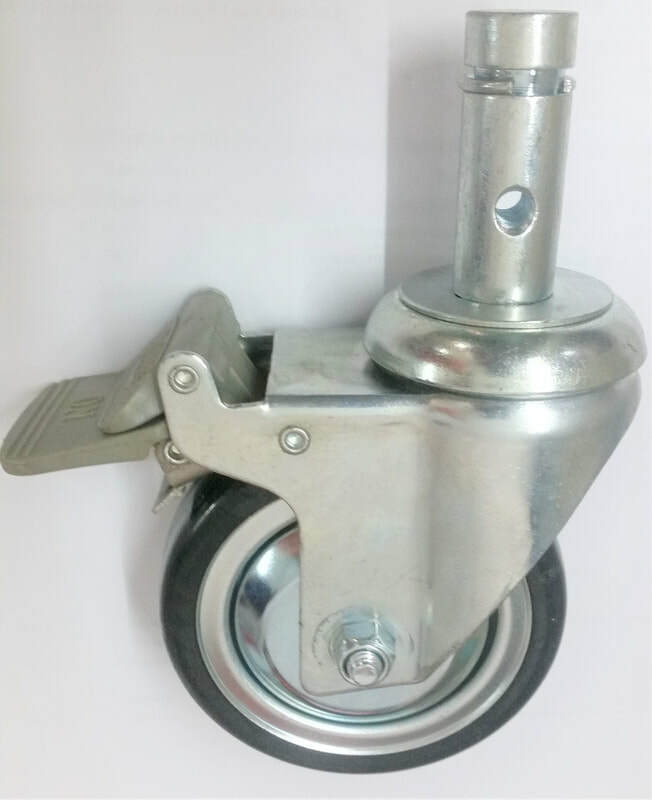 They range in size from the very small furniture casters to massive industrial casters, and individual load capacities span 45 kg or less to 45 tons. 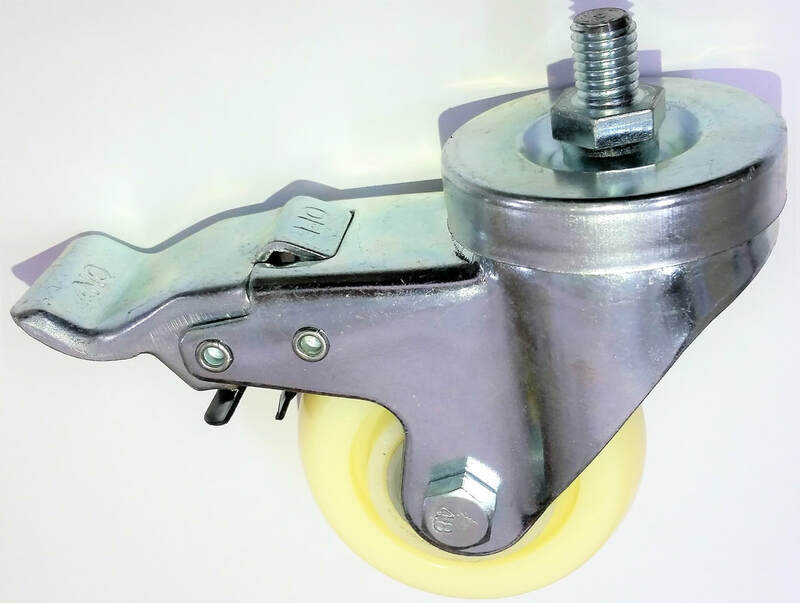 Wheel materials include cast iron, plastic, rubber, polyurethane, polyolefin, nylon, thermoplastic rubber, forged steel, stainless steel, aluminum, and more.